Think big: The development of this tech hub was sparked by an Amazonian’s six-pager. A new Amazon office is nestled into San Diego’s Golden Triangle neighborhood, which is home to a budding tech sector, and within shouting distance of both the Pacific Ocean and the University of California San Diego main campus. Soon, hundreds of engineers and scientists will join the more than 200 Amazonians currently working in the company’s San Diego Tech Hub. Inside the modern, glass and steel structure holding Amazon’s new office, they’ll work on Amazon’s machine learning and data science capabilities. And they’ll add even more brainpower to software teams who are focused on making Amazon.com the safest place to shop online, and integrating Whole Foods and Amazon even more closely. These teams have already played a key role in developing the code behind in-store pick up, where Prime members can order food online, or through Alexa, and pick it up at a convenient Whole Foods store. 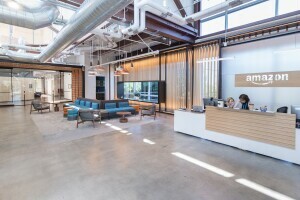 As the San Diego teams – which also include Amazon Web Services (AWS) and Amazon Game Studios – continue to grow, they join their colleagues to make up 17 technology hubs outside Amazon’s Seattle headquarters. Spread out across North America, these hubs house more than 17,500 Amazonians working on new global products and services for Amazon customers. But, two short years ago, the idea for an office in San Diego existed solely on the pages of Nate Wiger’s “six-pager,” the peculiar internal memo that all big ideas at Amazon must go through before getting the green light. Wiger is now the General Manager of Amazon’s San Diego office. But in the spring of 2016, he was a senior manager at Amazon Web Services working at the Irvine office. Looking around at the tech talent clustering near UC San Diego and nearby University of California Irvine, he saw an opportunity for Amazon to attract talent that, like him, didn’t want to stray too far from home. “I went to the UCSD and I’ve lived here for the past 25 years. 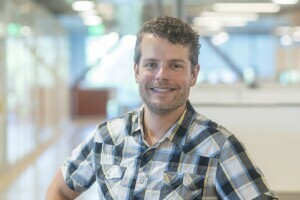 Ever since graduating from college I knew I needed to do everything in my power to stay here,” said Wiger, who, until recently, telecommuted to Amazon’s Irvine office, which is about an hour’s drive from San Diego. Wiger’s manager encouraged him to look into the feasibility of opening a San Diego office. The more data Wiger discovered, the more convinced he became that a new tech hub made good business sense. So, he started to draft his proposal the same way nearly every iconic Amazon business began, including Prime Now and AWS – as a six-pager. To Amazonians, the six-pager is an institution that’s revered but, like final exams, requires a lot of preparation to be done right. Its role is to sharpen proposals by forcing Amazonians to concisely explain their plan, and to thoroughly think through everything they put down on paper. When Wiger put pen to paper, his plan came to life. There’s no other company on the planet that would do that. Wiger spent two to three weeks head down, collating data, comparing San Diego with other similar locations, and writing up his six page memo. When it was done, he and his boss flew to Seattle. In an ordinary conference room, they sat down with some of Amazon’s most senior leaders to review the proposal. For about half an hour, people just read, which is standard practice when discussing a six-pager. And then, the questions came. “The funny thing was, people who weren’t as familiar with San Diego were a little skeptical at first. They kind of thought of it as a beach town with fish tacos,” Wiger said, laughing at the memory. Wiger and his boss talked about San Diego’s huge biotech and defense tech sectors. They acknowledge that, while it’s a sleeper story to much of the country, people in the region know of San Diego’s reputation as a top-notch technology hub. Most important to the senior executives, Wiger recalls, was his six-pager’s data points. Once they saw those, San Diego’s Tech Hub became a reality.